Central Tech’s Surgical Technology program graduated twelve students in ceremonies Monday, July 10, 2017 on the Drumright campus. 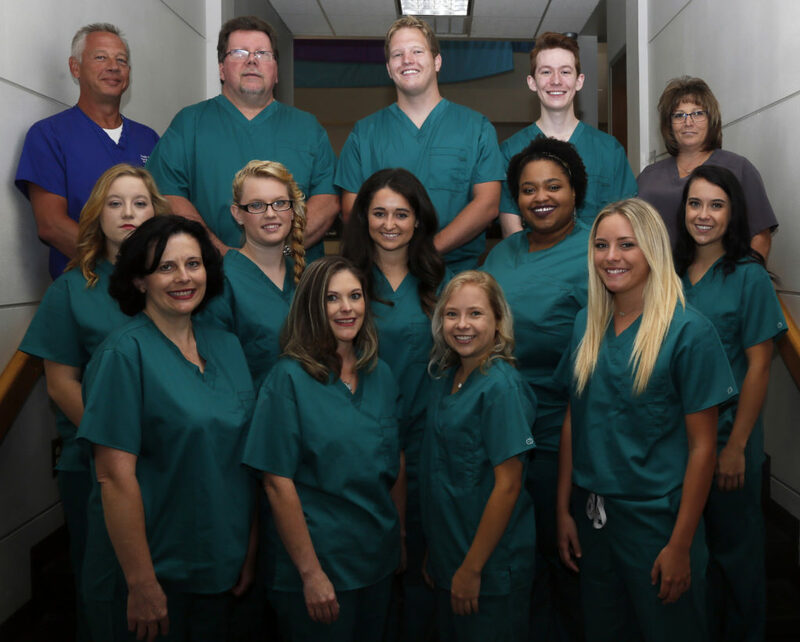 Last year’s graduates earned a 100% pass rate on their certification test from the National Board of Surgical Technology and Surgical Assisting (NBSTSA). This accomplishment distinguishes the Central Tech Surg Tech program as one of the top schools in the state of Oklahoma. Graduating students include Chris Mays of Bristow, Matt Suttle of Prague, Griffin Gosney of Stillwater, Samantha Yarber of Ralston, Chelsey Hurst of Drumright, Brianna Favalora of Oilton, Courtney Oliver of Perkins, Kayla Beckham of Bristow, Stacy Raffety of Stillwater, Brooke Jordan of Davenport, Kelsey Beckham of Bristow, and Alexia Geer of Stillwater. welve students graduated from Central Tech’s Surgical Technology program Monday, July 10. Back row: Instructor Todd Prough, Chris Mays of Bristow, Matt Suttle of Prague, Griffin Gosney of Stillwater, Instructor Roxann Fox. Middle: Samantha Yarber of Ralston, Chelsey Hurst of Drumright, Brianna Favalora of Oilton, Courtney Oliver of Perkins, Kayla Beckham of Bristow. Front: Stacy Raffety of Stillwater, Brooke Jordan of Davenport, Kelsey Beckham of Bristow, and Alexia Geer of Stillwater.